Robin Hood travelled to the Somerset Cricket Club looking to take over the top of the Premier Division standings, while the Somerset Trojans were hoping to close the gap on the ninth place team in the Standings, but in the end fans were treated to eight goals, ironically Robin Hood scored 7 times in their 5 – 3 victory. Tomiko Goater would give Robin Hood the lead in the 7th minute, Antwan Russell would double the lead when he found the back of the net in the 11th minute. In the 25th minute Daniel Andrade would make it 3 – 0 to Robin Hood, before Russell would make it 4 – 0 in the 34th minute and then Goater would find the back of the net in the 43rd minute to extend the Robin Hood lead to 5 – 0. The Somerset Trojans would stage a comeback, albeit it with the assistance of Robin Hood, they pulled a goal back in the 55th minute through an own goal, Robin Hood would score a second own goal in the 68th minute before D’Andre Wainwrigh scored in 80th minute for the Somerset Trojans to make the score 5 – 3. Neither team would score again as Robin Hood take over the top spot in the Premier Division. 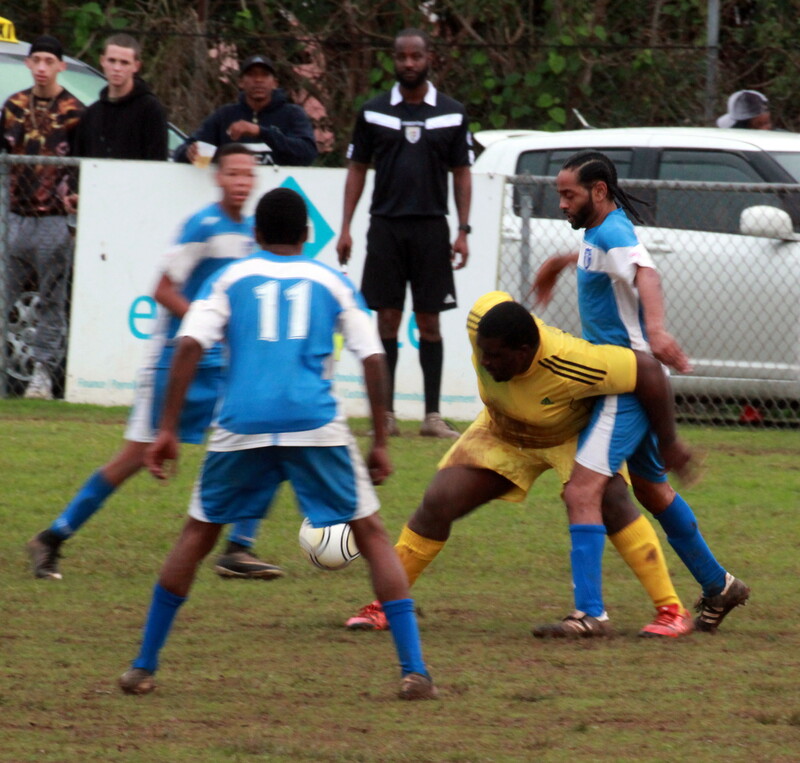 Young Men Social Club would defeat Ireland Rangers 6 – 1 in their First Division match at Bernard Park. Young Men Social Club would be led to victory by Nique Armstrong who scored a hat-trick, while Makai Young added two goals and Dahlano Simmons scored the other, Rashaun Seaman would score the Ireland Rangers lone goal.